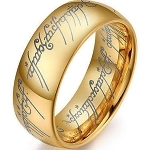 Lord of The Rings Tungsten Rings in Silver, Black and Gold. 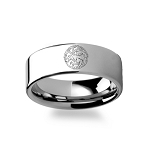 These may make you invisible. 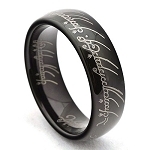 Tungsten Carbide Laser Engraved Elvish Lord of the Rings. 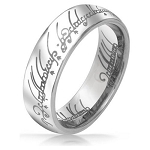 We are proud to carry Gold, Silver and Black Tungsten Lord of the Rings.